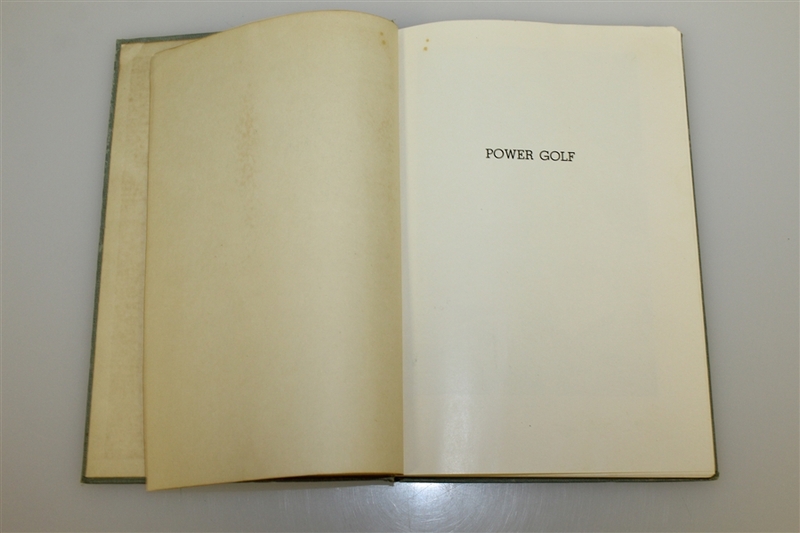 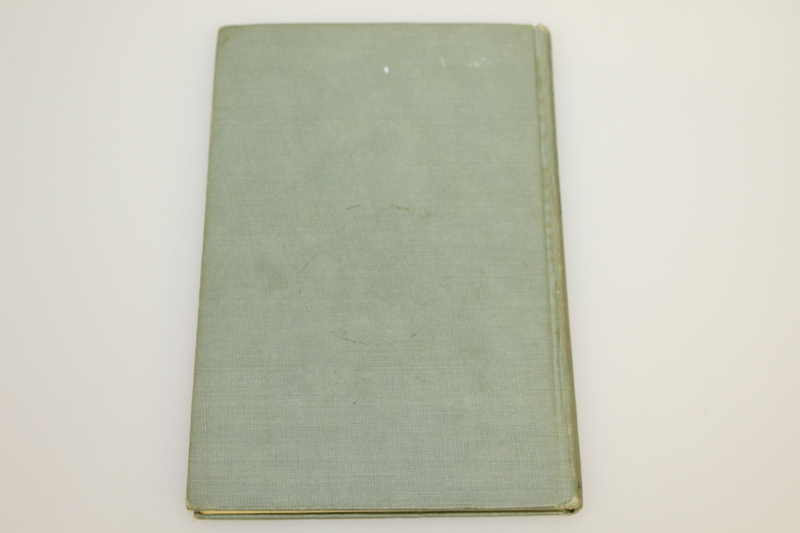 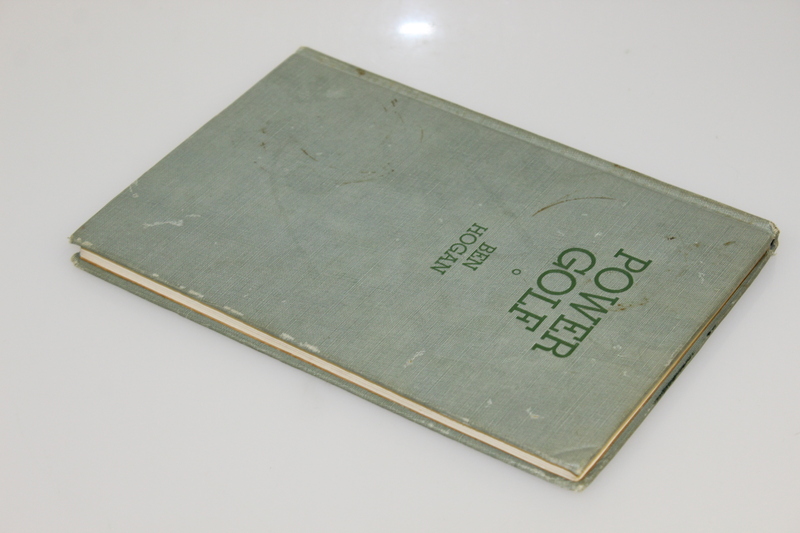 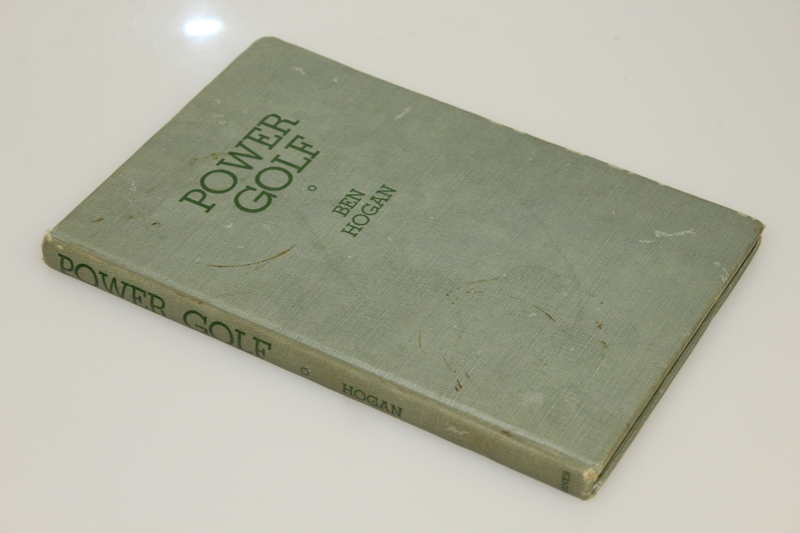 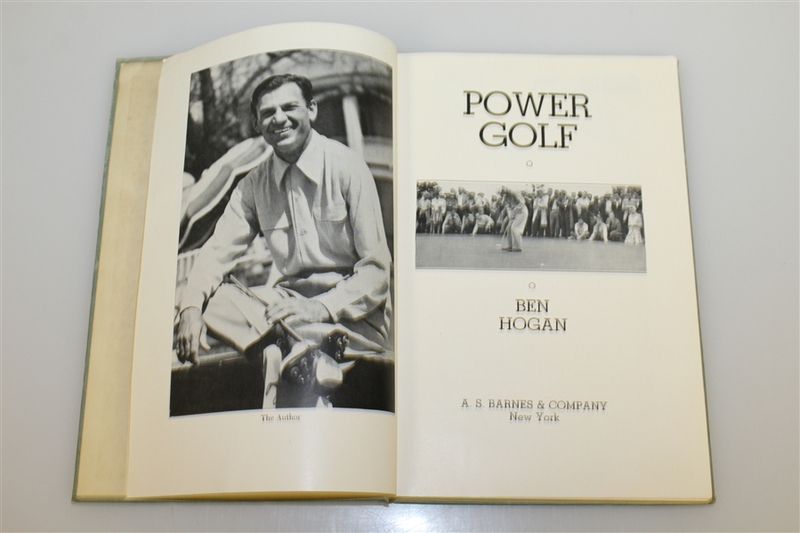 Here we have a first edition signed copy of Ben Hogan's 1948 "Power Golf." 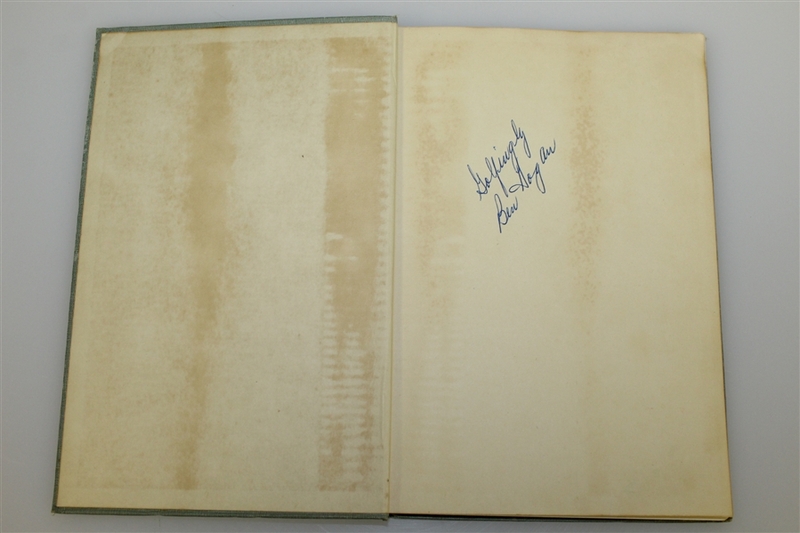 The book shows foxing and scuffs throughout. 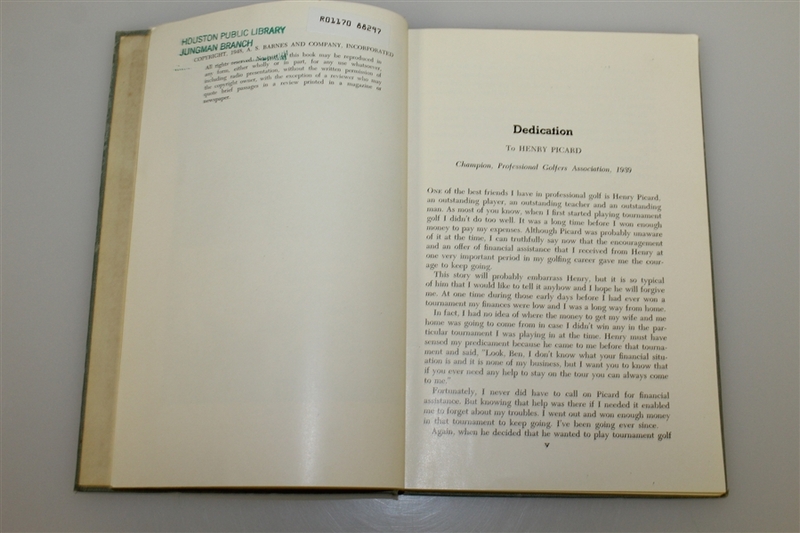 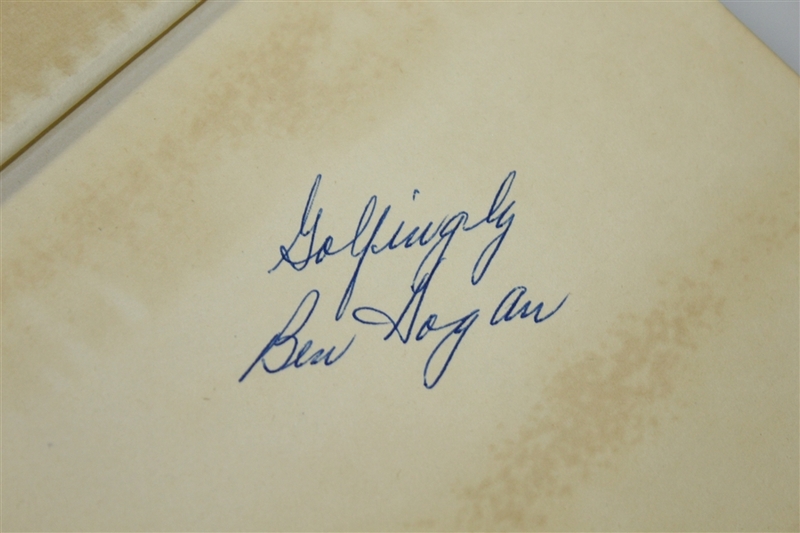 Hogan signed the book in blue ink "Golfingly, Ben Hogan." 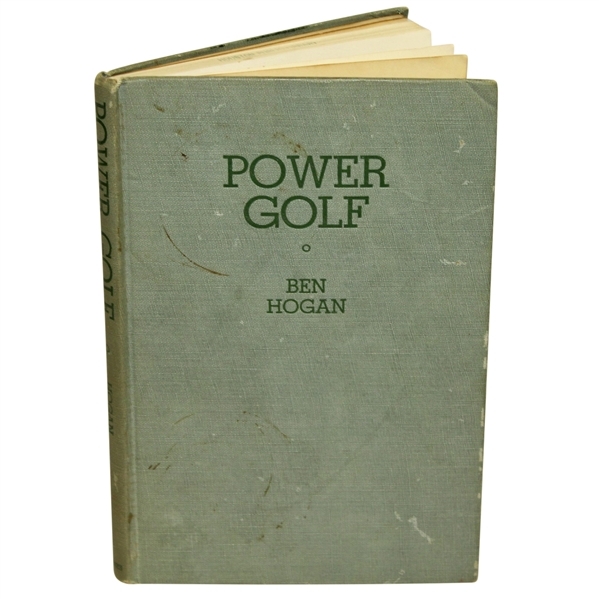 Ben Hogan is considered one of the greatest golfers to ever tee up, and his swing and ball striking ability have withstood the test of time.